The bright lights, the inspiration, the people, the city that never sleeps–there is no place in the world that is like New York City. If you have never been, then you absolutely must go. If you have been, you know that returning as soon as possible is a must. Connected by iconic bridges and underground tunnels, New Jersey’s Bergen and Hudson counties are located right next to New York City, just across the Hudson River. What many people from far away don’t seem to know is that Northern New Jersey really is a destination in itself. 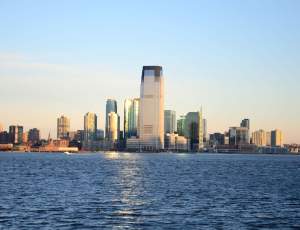 Those who are looking to explore more than just New York City are sure to be excited about what New Jersey has to offer. Explore Hudson County, Bergen County, and Beyond! One of the most diverse cities in the world, Jersey City (shown in photo on the left) is New Jersey’s very own New York City. 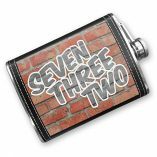 It is sometimes referred to as the seventh borough of New York, and is absolutely worth seeing for it’s historical landmarks and world-famous diners. Surrounding Jersey City is a collection of amazing towns that are all worth visiting. These include: Hoboken, North Bergen, Secaucus, West New York, Bayonne, and Newark. Moving even further north along the Hudson River, both Edgewater and it’s neighboring city, Fort Lee, provide some incredible views of Manhattan, as well as some really fun things to do and see. 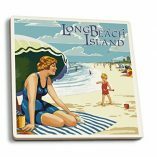 Why Look for Hotels in NJ Near NYC? 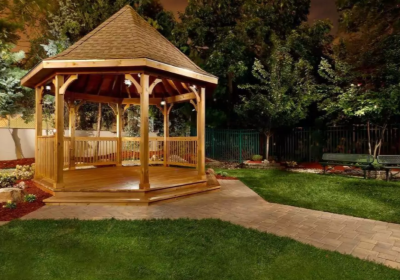 One of the biggest reasons for choosing one of the hotels we have listed in Northern NJ is not only to be close to NYC, but also to give you the opportunity to explore some really awesome spots in New Jersey. Getting there is so easy! Many hotels offer shuttle services or private cars that will take you into the city for a charge. There are also two different trains you can take, New Jersey Transit or the PATH. 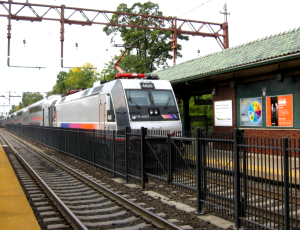 Both run out of many different New Jersey train stations and will conveniently take you to the city. Other public options include buses, ferries, or car rentals. Depending on how close you really end up staying, walking or biking across a bridge is another option–and will be an adventure you won’t ever forget! Check out our comprehensive guide to every way of getting to NYC from NJ. Another reason is to save money. Let’s face it–staying in New York City can be expensive no matter which hotel you decide to stay in. Avoid the high costs by staying just across the water in New Jersey. You’ll still be only minutes away from the city, and you can enjoy beautiful views of the skyline at night! To save you the stress and time of looking through hundreds of hotels in Bergen, Hudson, and Essex counties, we made it simple. We hand-picked all of the best places to stay in New Jersey that are near New York City. Every hotel on our list is rated 3 stars or more, which means you don’t have to worry about sorting through the ones that aren’t really worth staying at. 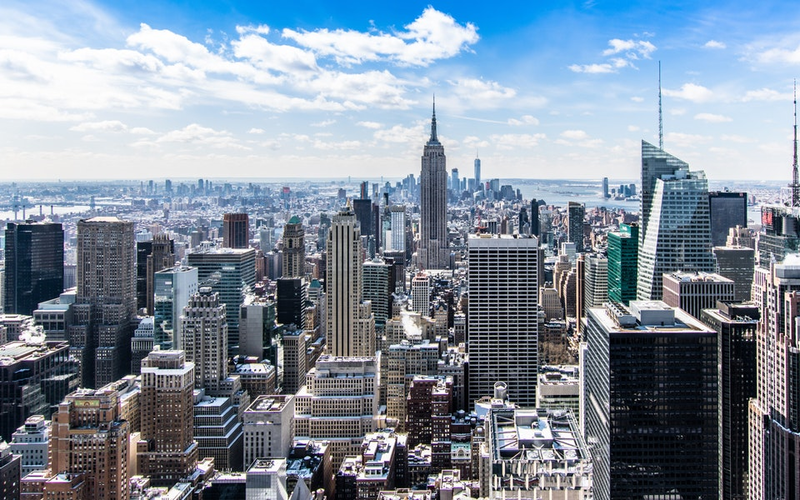 We also researched and listed the distance from each of our chosen hotels to Times Square, the nearest bridge, and the nearest train station or public transportation stop. This way, there’s no guessing how far away from the city you will actually be staying, or how long it will take to get there. The W Hoboken stands 25 floors high on River Street in Hoboken. 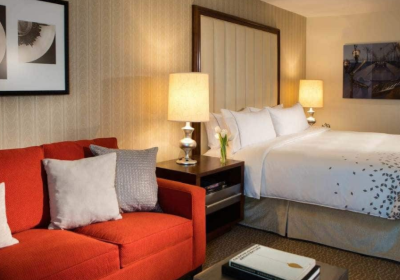 Just steps away from the Hoboken Transit Station, this hotel is an excellent choice for those who are looking to explore New York City, as well as surrounding NJ cities, during their stay. 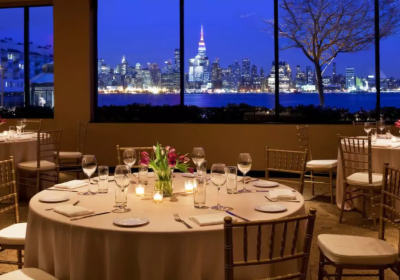 Enjoy some stunning views across the Hudson River at the beautiful luxury hotel in northern NJ. Not to mention, it’s located in one of the coolest cities in all of New Jersey. The W Hotel in Hoboken has a restaurant, Halifax, serving North-Eastern farm and coastal cuisine. 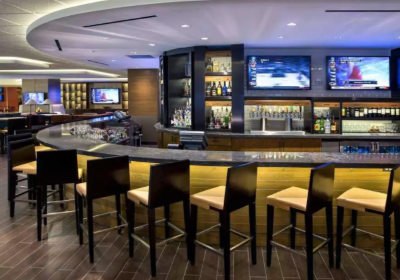 Also enjoy some cocktails in the lobby of the hotel while listening to cool music with friends or family. One of he hotel’s best features is the in-house Bliss Spa. Massages, body treatments, and beauty services are offered in the spa’s relaxing environment. The Hyatt Regency Hudson Hotel is located right in downtown Jersey City, NJ, with a beautiful view of the New York City skyline across the Hudson River. 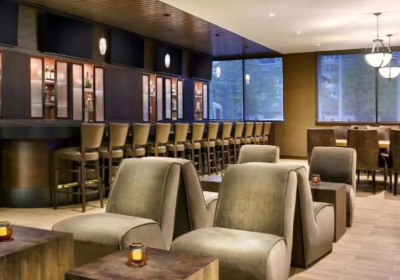 The hotel has a restaurant, called Vu, as well as a bar/lounge and a snack bar. Explore downtown Jersey City with the family or check out the Colgate Clock, as it is only a 3 minute walk away! 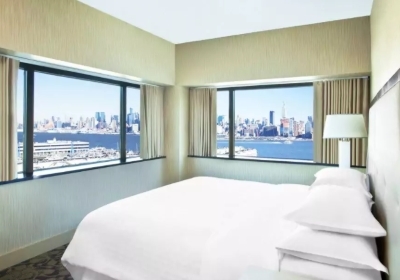 Just minutes away from New York City, this 4-star hotel is in an amazing location for sightseeing. It’s even right on the Marina, where you can watch all different kinds of boats float up and down the Hudson River all day. 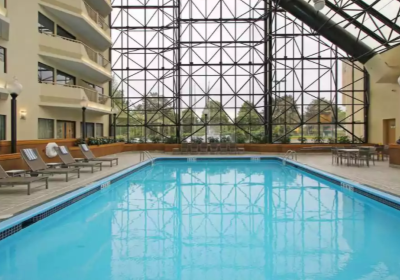 Enjoy the indoor pool and the 24-hour fitness center while looking out huge ceiling to floor windows at the most beautiful view of the Manhattan skyline. 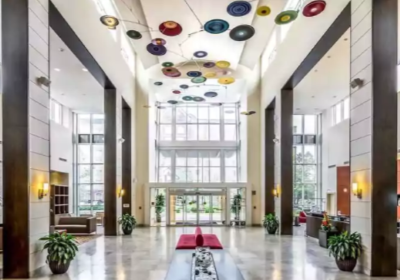 Other amenities include free WiFi, valet parking, a 24-hour business center, and much more. The Westin Jersey City Newport is located on Washington Blvd, in between Hudson Exchange and Newport. It’s location is great because of how close it is to the Holland Tunnel. 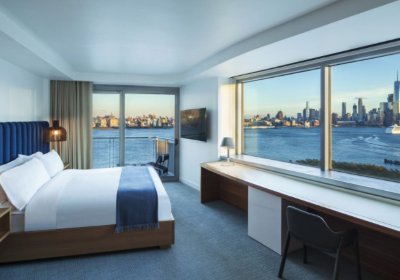 Go for a bike ride along the Hudson River and take in the gorgeous views of the Lower Manhattan skyline or go for a swim in the hotel’s indoor pool with natural light coming in both the roof and the large windows looking out into the city. The hotel has two restaurants and two bars. Half Moon Lounge offers breakfast only and has a bar where guests can enjoy drinks. Fire and Oak is an american bar and grill offering excellent lunch and dinner options. The Newark Liberty International Airport is located right in the airport, making it a perfect choice for those who are traveling to New Jersey by air. There is a restaurant inside of the hotel, Aviation Grill, that serves breakfast, lunch, and dinner and specializes in American cuisine. There is also a bar/lounge. 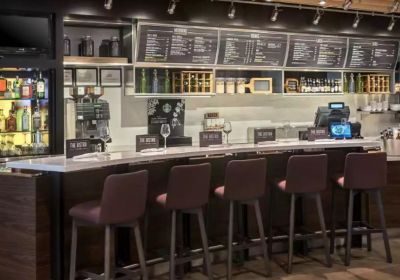 Newark Liberty International Airport Marriott offers a free airport shuttle for those who have to make outbound flights. 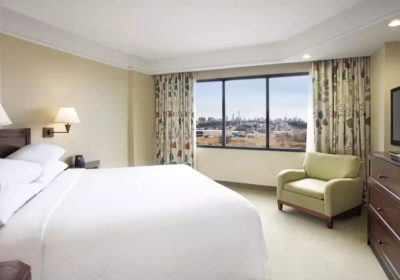 Renaissance Newark Airport Hotel is located only five minutes away from the Newark Liberty International Airport. 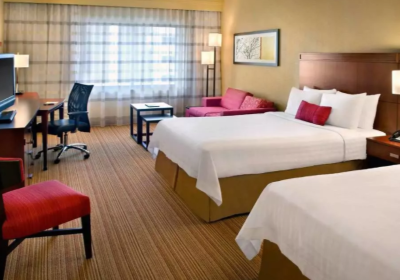 It is a 4-star hotel with 369 smoke free guestrooms. Ironbound, the restaurant inside of the hotel, specializes in American cuisine and serves breakfast, lunch, and dinner. Only a 1 mile walk from the North Elizabeth train station, this hotel has easy access to public transportation to and from the city. It is located right in the heart of Elizabeth, close to Kean University, Rutgers University Newark, the Prudential Center, and more. 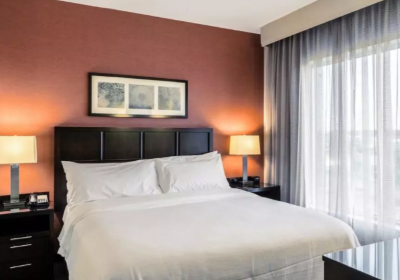 The Sheraton Lincoln Harbor Hotel is a great choice for those looking to stay in one of the hotels in New Jersey that are near New York. It is extremely close to the Lincoln Tunnel, which makes getting to Midtown in NYC much easier. The restaurant in the hotel is Masina Trattoria Italian, an Italian restaurant serving breakfast, lunch, and dinner. There is also a bar/lounge for drinks. Go for a swim in the hotel’s indoor pool or enjoy a great workout at the fitness center. 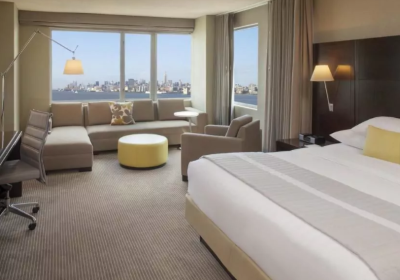 Located right on the Hudson River in the heart of Weehawken, there is so much to see and do at the Sheraton Lincoln Harbor Hotel. 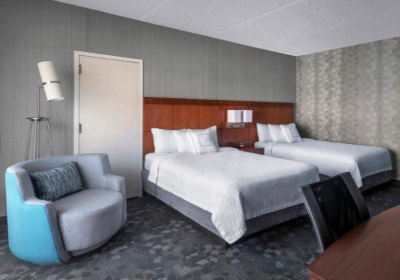 Looking for a hotel that is close to Secaucus Junction so that you’ll have easy access to NJ Transit? 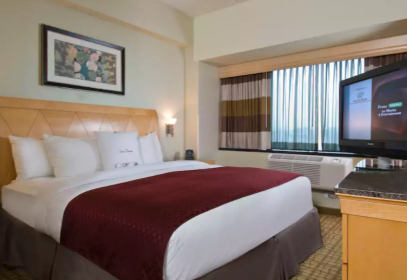 The Embassy Suites Meadowlands is one of your best best! 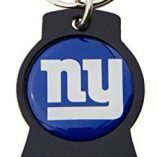 Also located only 3.9 miles away from MetLife Stadium, the largest stadium in New Jersey, this is a great place to stay if you’re catching a concert or sporting event. 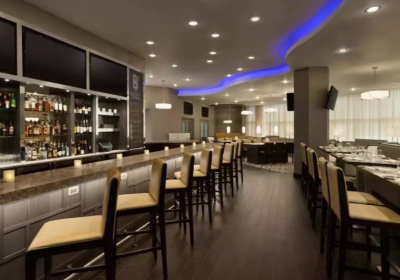 The Embassy Suites Meadowlands in Secaucus, NJ has a restaurant, Cafe Four Fifty Five, that only serves dinner. There is also an indoor pool, fitness center, and business center. Free cooked-to-order breakfast and free parking are both offered to make for an accommodating stay for guests. 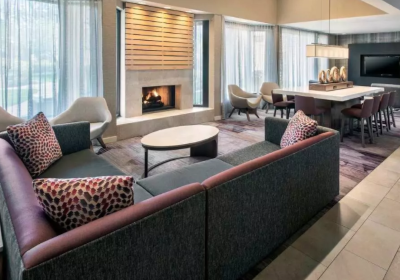 While the Embassy Suites Newark Airport is a little bit further from NYC in mileage, it’s in the perfect location for hopping on different trains. Because it is right next to Newark Liberty International Airport, transportation options are endless. Hop in a bus, train, taxi, shuttle–you name it! This hotel in New Jersey is in the center of all the necessary transportation to New York. 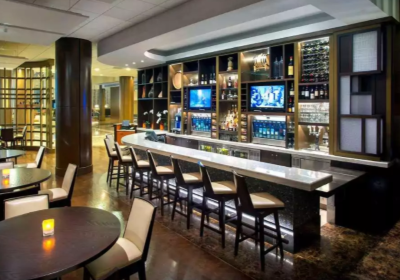 The Embassy Suites Newark Airport has a restaurant–Liberty Grille–which serves dinner only and specializes in American cuisine. It also has an indoor pool and fitness center, along with many other amenities to make your stay enjoyable. 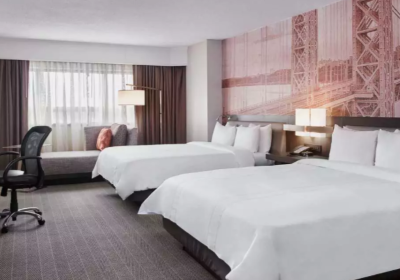 Located right next to New Jersey’s iconic MetLife Stadium, Hilton Meadowlands is located right in the heart of East Rutherford. 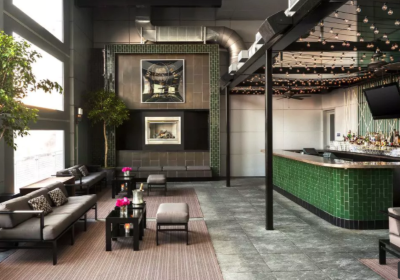 This is the perfect hotel to stay in if you’re catching a concert or sporting event and want to make time for exploring New York City as well. Cross through the Lincoln Tunnel and you’ll end up right in Midtown, where the family can enjoy Times Square, Central Park, and much more. Hilton Meadowlands has a free train station pick up, which is excellent for those who are looking to travel into the city by train. When a show is going on at MetLife Stadium, NJ Transit trains also make stops right at the stadium. This hotel has a restaurant, Bergen Social, which specializes in American cuisine and serves breakfast, lunch, and dinner. There is also a bar for drinks. 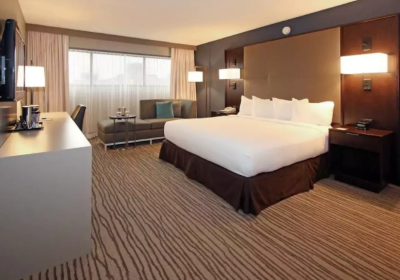 The DoubleTree Hilton Newark Airport is a 3.5 star hotel with 502 guestrooms arranged over 12 floors. 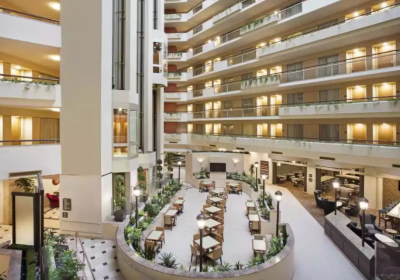 The architecture of this hotel is really cool and open, as the lobby, pool, and banquet area are surrounded by large window areas that provide lots of natural light. 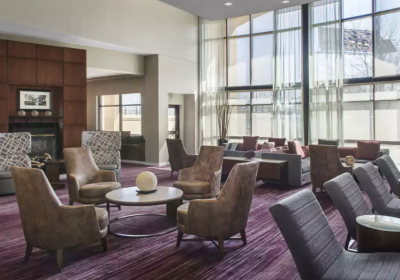 It’s nearness to the airport and Newark Penn Station really puts the DoubleTree Hilton Newark Airport in a convenient location. Because both New Jersey Transit and PATH trains leave out of Newark Penn Station, it is a main station in the area. Hop off your plane, into your hotel, and onto a train to New York City! It’s as simple as that. 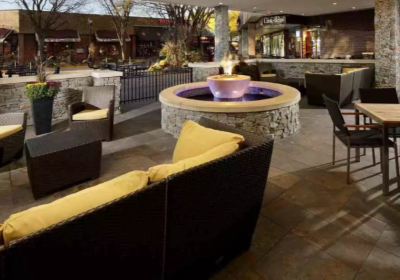 Crowne Plaza Englewood is a 3.5 star hotel located just minutes away from Fort Lee, New Jersey. It has 194 guestrooms and a restaurant, Blue City Grille, specializing in American cuisine for breakfast, lunch, and dinner. This restaurant also has a bar serving alcoholic drinks. Go for a swim in the beautifully lit up indoor pool or enjoy a workout in the fitness center. Head over the George Washington Bridge and explore the Bronx, Washington Heights, and Upper Manhattan. 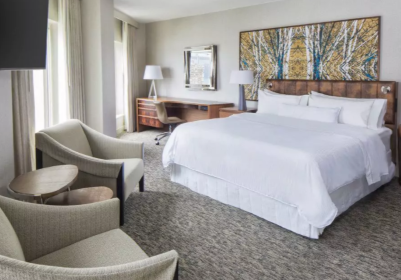 The Teaneck Marriott at Glenpointe in Teaneack, New Jersey has 345 smoke-free guestrooms, 2 restaurants, 2 bars, and a full service spa. 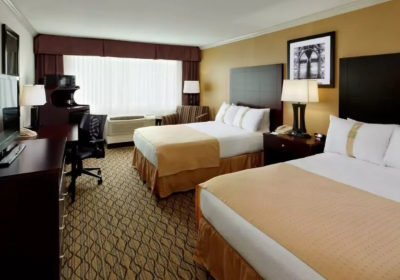 Located in the beautiful town of Teaneck, this hotel is close to MetLife Stadium, Riverside Square Mall, Farleigh Dickinson, and Fort Lee. With extremely stylish interior decorating, the lobby and rooms in the hotel has recently been renovated. Get to Midtown Manhattan from the Teaneck Marriott at Glenpointe in about 15 minutes. The best part of staying in Fort Lee is how close it is to the George Washington Bridge. The Holiday Inn GW Bridge in Fort Lee is just over a mile away from the GWB. Cross over the bridge by car, or by foot if you are feeling adventurous, and explore the Bronx and Upper Manhattan. This hotel has free WiFi, free parking, and a free area shuttle. Go for a swim in the outdoor pool during summer months. 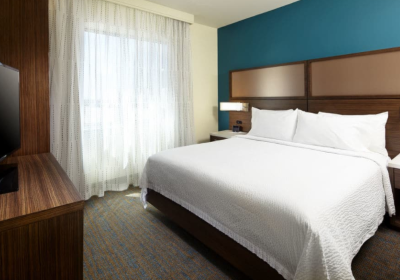 For a great price, the Holiday Inn GW Bridge Fort Lee offers guests an accommodating place to stay that is in a great location. 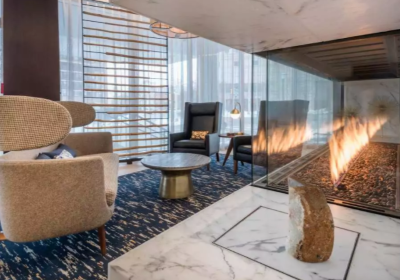 The DoubleTree by Hilton Hotel & Suties Jersey City is located right in Downtown Jersey City, in between the Paulus Hook and Waterfront regions. This hotel is close to not only the Holland Tunnel which leads right into Lower Manhattan, but also to the Grove Street PATH train station. The train station is actually in walking distance from the hotel. It’s location makes it a prime choice for those looking to travel back and forth to the city often. 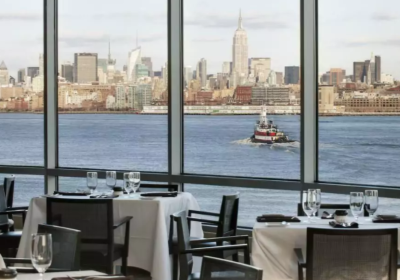 This hotel has the Hudson Grill and bar inside of it, specializing in American cuisine, serving breakfast, lunch, and dinner. It also has a free area shuttle, a 24-hour fitness club, valet parking, and much more! The Residence Inn by Marriott Jersey City is located in Jersey City on Christopher Columbus Drive. 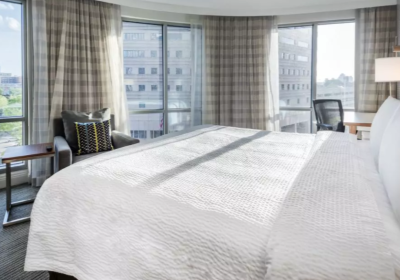 This hotel offers basic rooms for those who are traveling alone or in pairs, as well as family suites for those traveling with the whole family. These suites include free cribs and infant beds, a kitchen complete with cookware, dishware, utensils, a stove top, microwave, and full-sized refrigerator and freezer. These suites feel just like home with a separate dining area and a cozy couch to curl up on and look out at the city. This hotel also has a bar and lounge, as well as a free hot and cold buffet breakfast everyday. Enjoy a great workout at the 24-hour fitness center or get some work done at the 24-hour business center. The Courtyard Jersey City Newport has a restaurant called The Bistro that serves lunch and dinner, a bar/lounge, a coffee shop, a snack bar, and barbecue grills. It is located in Newport in Jersey City, just steps away from the Holland Tunnel. Use the indoor pool, 24-hour fitness center, or take a dip in the spa tub during the time that you don’t spend exploring. The Courtyard Jersey City is one of the many hotels in New Jersey near New York that is right on the Hudson River–which is a great place for guests to go hiking, biking, sailing, or even golfing. 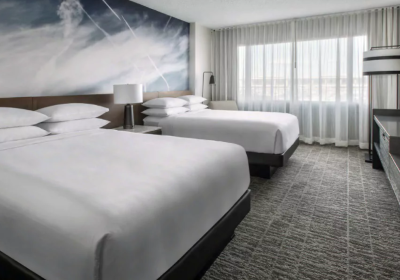 The Residence Inn Secaucus has 154 smoke-free guestrooms on six floors. Bring your furry friend along, as this hotel offers pet-friendly rooms! There is a free breakfast buffet everyday, a bar/lounge for drinks, and coffee and tea in the common area. 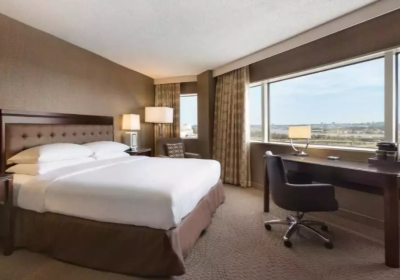 Complete with all of the amenities you would hope to see in a hotel, this Secacus hotel is sure to please with an indoor pool, 24-hour business center, fitness center, a free grocery shopping service, and much more. 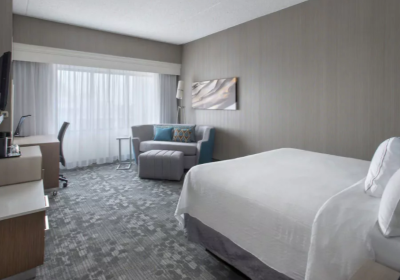 It’s closeness to Secacus Junction makes the Residence Inn Secaucus a great place to stay for those who will be traveling to and from Midtown. The Courtyard Newark Elizabeth is located right in between the New Jersey Turnpike and The Mills at Jersey Gardens Mall. This is one of the biggest shopping destinations in New Jersey, as it is the state’s largest outlet and retail center. Find over 200 stores, including top outlets and some of the best brands. The restaurant inside of the hotel, The Bistro, serves breakfast and dinner. 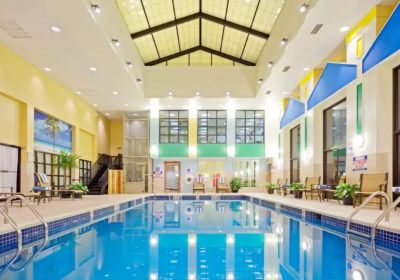 There is an indoor pool, fitness center, business center, and free airport shuttle available for transportation to the Newark Liberty International Airport. 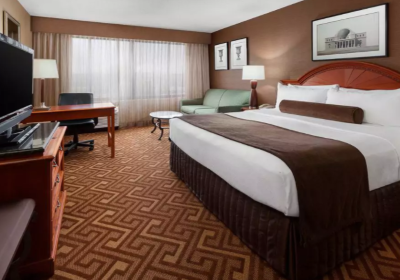 Courtyard by Marriott Newark Liberty International Airport is located just minutes away from both Newark Penn Station and Newark Liberty International Airport Station, which makes getting to New York City or other parts of New Jersey really simple. The hotel also has a free airport shuttle to take guests to and from Newark Liberty International Airport. The hotel has an in-house restaurant called The Bistro where breakfast and dinner are served. There is a bar inside for guests to enjoy drinks. Also be sure to enjoy the fitness center, indoor pool, and spa tub inside of the hotel. 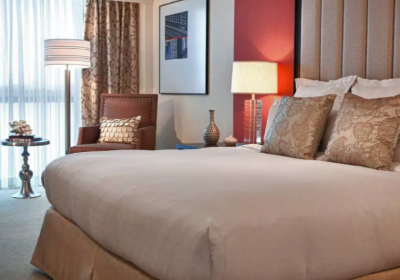 We hope you found the perfect hotel in New Jersey for your next trip. 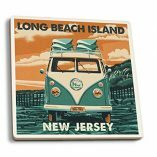 There is so much to see in New Jersey, which makes it an amazing option for those who are looking to stay outside of New York. See our guide to traveling into NYC from NJ. Looking to travel beyond New Jersey? 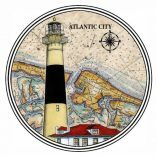 Take a bus tour from NJ to a really unique destination! Find fun things to do in NJ.